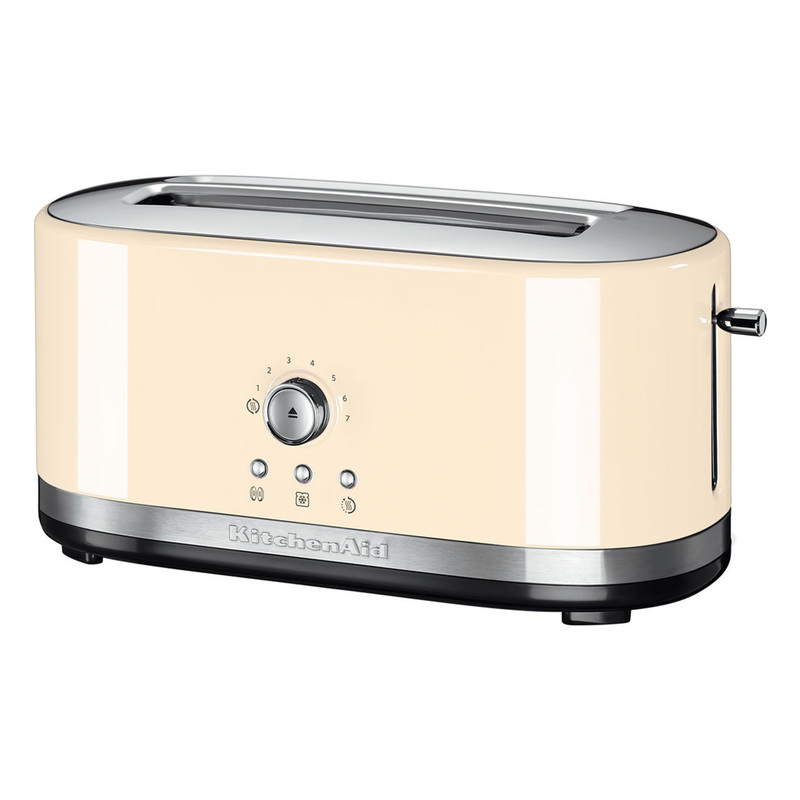 Get more from your essential kitchen appliance with the KitchenAid Long Slot Toaster, which accommodates panini and ciabattas, all types of pastries, and batches of toast, four slices at once. When you need to quickly feed a crowd, opt for a hot panini or ciabbata, lightly browned inside and out, thanks to the Bagel option, and the longer-slot design. Working from the freezer? The Defrost feature will defrost and toast in minutes, and if you're called away, use Keep Warm until you're ready. With four sophisticated functions: Keep Warm, Defrost, Reheat, and Bagel, the KitchenAid Manual Control Toaster makes every snack a celebration. The 38 mm slots hold any shape of pastry or thick breads whilst a seven-shade setting gets toast just right. Avoid burnt fingers with the Extra High Lift Lever. A brushed stainless steel body and chrome temperature knobs elevate this everyday essential to a stylish statement.